Natural ecosystems undergo constant changes, suggesting that the way we view natural ecosystem dynamics must be changed from a ‘static’ view to a ‘dynamic’ view. How are ecological communities maintained? Although there are many studies that address this question theoretically or experimentally, attempts to answer this question for natural systems using empirical approaches are few and far between. It is commonly acknowledged, but rarely considered, that natural ecosystems undergo constant changes: i.e., population sizes, organismal behaviour, physiology and interactions, and environmental parameters all fluctuate through time. These ‘dynamic’ properties often produce complex dynamics and observations that are often difficult to untangle. 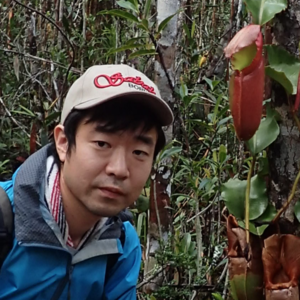 In 2014, Michio Kondoh, one of the co-corresponding authors of the paper, and I started a project to understand driving mechanisms in a natural ecological community. At the time, we were looking for two essential components: monitoring data and a modeling approach. Data is the most fundamental necessity for empirical studies. To ‘capture’ and model the dynamics of a natural ecological community, highly-resolved (highly-frequent), sufficiently long time series are necessary, regardless of the modeling approach. Unfortunately, long-term ecosystem monitoring is usually cost-, time- and labor-intensive work. 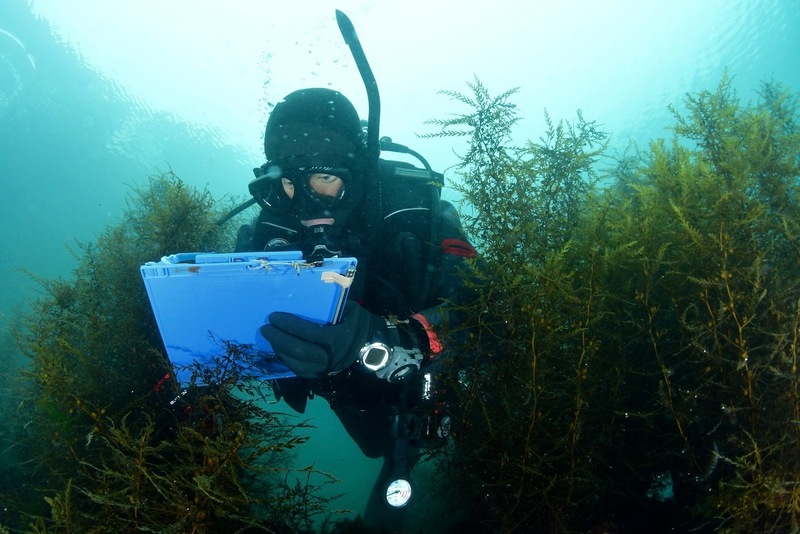 In addition, it typically requires unique expertise in species identification and surveying under field conditions. As a result, obtaining well-resolved, long-term ecosystem monitoring data is decidedly nontrivial. We were really lucky to find a well-resolved, long-term dataset. Reiji Masuda, one of the coauthors of the paper, had started a direct visual census in 2002 in Maizuru Bay in Kyoto, Japan. Every two-weeks, he dons his underwater gear and dives into the water. When I received his monitoring data, I was really surprised; it contains NO missing data! And, more surprisingly, the data quality is unparalleled: the same ecologist had been performing this census for the entire 12-year duration! The only other thing we needed was a modeling approach. When we started the project in 2014, a new analytical framework had begun to emerge: empirical dynamic modeling (EDM). EDM provides various tools to analyze time series from nonlinear dynamical systems: e.g., determining complexity and nonlinearity, forecasting, and detecting causality (i.e., convergent cross mapping; Sugihara et al. 2012). Chih-hao Hsieh in National Taiwan University and Chun-Wei Chang, a graduate student in his lab, helped us to apply EDM to Reiji’s impressive time series. Subsequently, George Sugihara in Scripps Institute of Oceanography and several of his students, Ethan Deyle and Hao Ye, joined the project. When George, Ethan, and Hao joined the project, Ethan had developed a new EDM-based method, the multivariate S-map (Deyle et al. 2016), that enables the calculation of time-varying interaction strengths in real time. When I applied the multivariate S-map to a model system, I was amazed to see how accurately it tracks time-varying interaction strengths. Thus, we decided to apply the multivariate S-map, in addition to convergent cross mapping, to the time series from Maizuru Bay. EDM revealed that interaction strengths in the natural fish community fluctuate through time, which is contrary to a common assumption in many theoretical studies. Theoretical studies have shown that the stability of a system can be evaluated from interspecific interactions; thus, the next step was to evaluate the stability of the Maizuru Bay fish community using an approach based on Lyapunov stability (referred to as ‘Dynamic stability’ in the paper). Dynamic stability shows seasonal fluctuations, implying that the fish community is more robust against external perturbations (e.g., fishing) in summer, and is less robust in winter. On a personal note, what I found especially intriguing is that we were able to show that community stability, which is often assumed to be constant through time, is fluctuating in a natural ecological community. When I first saw this result, I had the realization that the way we view natural ecosystem dynamics must be changed from a ‘static’ view to a ‘dynamic’ view. Our analytical framework enables the calculation of time-varying stability of natural ecological communities if suitable time series are available (and apply even if the system is not at equilibrium). We all know that taking high-quality, long-term time series is not easy, but I hope that our analysis helps to motivate generating such time series datasets. Reiji continues his diving census, and his time series has already become unprecedented: fortnightly observations, 16-years long, with no gaps and no observer-biases. 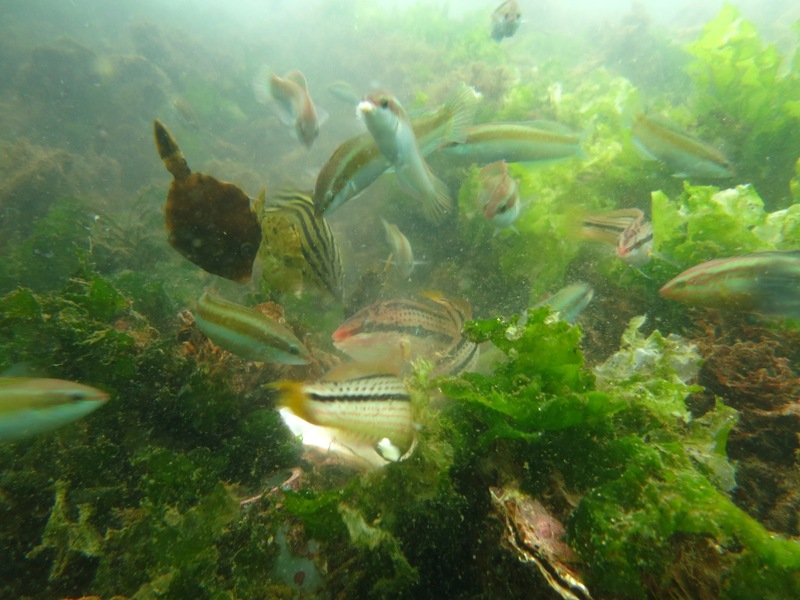 Just as with many other ecosystems, Maizuru marine ecosystems are undergoing changes. Integration of the impressive time series and an innovative analytical framework provides us with a ‘dynamic’ view of natural ecosystem dynamics, which I believe is necessary to understand and forecast future changes. Our study is not the goal, but a first step to understand the dynamic nature of natural ecosystems.